The consistent efficiency of two-stage heating. 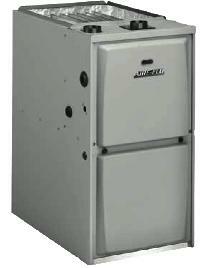 Thanks to its two-stage heating, the 95AF2V is the most efficient gas furnace in the Aire-Flo¨ lineup. Two different levels of heat mean the 95AF2V can operate at a lower output during milder weather, switching to a more intense heat level when the weather becomes colder. Since it’s flexible enough to switch as needed, you end up using less fuel throughout the winter, and enjoying more efficient comfort. 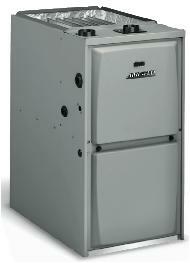 The 95AF is the most efficient gas furnace in the Aire-Flo¨ lineup, with an energy rating of 95% AFUE. That means you receive 95 cents worth of heat from every energy dollar spent! 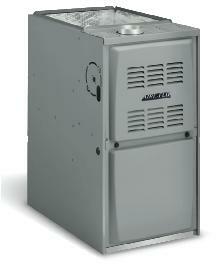 Compared to a standard-efficiency furnace, the 95AF can save you hundreds of dollars each year in utility costs. 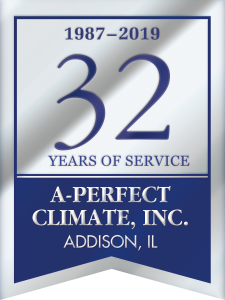 The 92AF gas furnace has an energy efficiency rating of 92% AFUE, which means it can save you hundreds of dollars each year on your utility bills, compared to older, less- efficient furnaces. A multi-speed blower motor allows the airflow to be set to meet your specific home comfort needs. When the weather outdoors turns cold, your family deserves an indoor environment that stays perfectly warm every single day. Thats why we engineered the 80AF gas furnace with robust components that are built to last. The aluminized-steel heat exchanger the part of the furnace that moves heat produced by the furnace into your household air resists corrosion with crimped seams that ensure a leak-free seal. And, the hot-surface ignition system provides dependable heat when you need it.